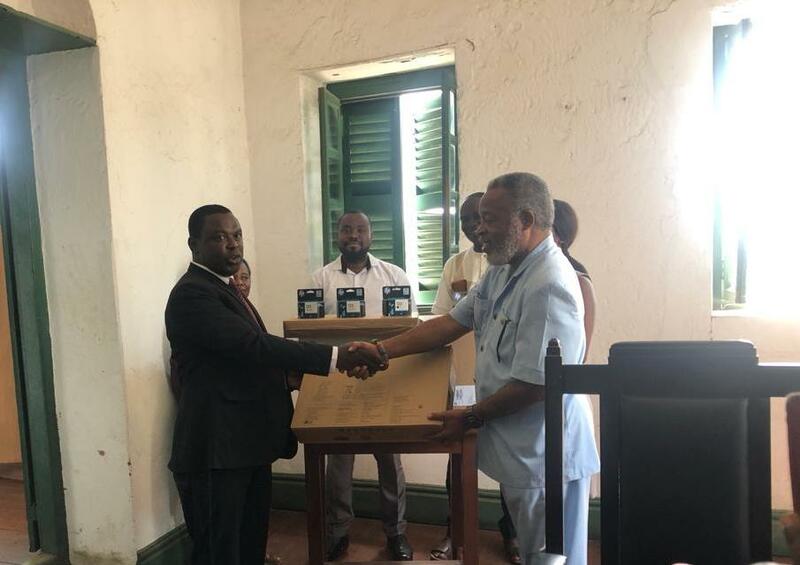 Ghana Heritage Conservation Trust (GHCT) supports the PANAFEST Foundation secretariat with office equipment towards the secretariat’s preparation for the 2019 Pan-African Historical Theatre Festival (PANAFEST). Included in the donation were One (1) HP laptop computer, one (1) HP desktop computer and one (1) HP coloured printer plus cartridges. Speaking at the brief ceremony, the chair of the Finance and Business Development Committee of the GHCT Board of Trustees, Prof. Edward Marfo-Yaidom, stated GHCT’s commitment to support and assist in the maintenance and management of Ghana’s Natural and Cultural/Historic Heritage and related Social Economic growth of the Central Region in particular. He also remarked that the Pan-African Historical Theatre Festival (PANAFEST) is a valuable cultural and historical asset that must be sustained. He also mentioned that with the rising momentum towards the ‘Year of Return’ commemorating the ‘400 Years of slavery’, the PANAFEST Foundation secretariat, no doubt needs all the backing it can get. Receiving the items on behalf of the foundation, at a brief handing over ceremony at the Heritage House in Cape Coast, was Rabbi Nathanyah Halevi, the Executive Secretary of the PANAFEST Foundation; who expressed to the Board and Secretariat of GHCT, their profound gratitude and indicated the support will help the PANAFEST secretariat in delivering on its mandate.